One of man’s greatest dreams is to reach Mars and technology can help us go there sooner, even if only digitally. 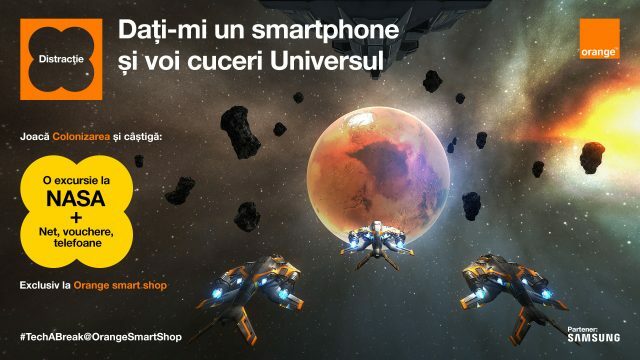 Under the motto “Give me a smartphone and I’ll conquer the Universe”, Orange and Profero have developed a campaign dedicated to visitors of the Orange smart shop, which invites them to play with the most intelligent devices while they attempt to colonize Mars. Via the interactive game “Colonizarea” (“Colonization”) that uses the asynchronous system and a multiplayer game technique, users can experiment trying to colonize planet Mars in different ways – on their tablet, phone or through VR headsets. They can carry out several missions as distinct characters, thanks to the interactive consoles that are connected to 8 devices for 6 different players and that can be found in Orange stores. Any news in the tech field is like a new landing on the Moon for youngsters, that awakens new passions and endless enthusiasm while supporting the continuous development of digital skills. Through the game Colonizarea we thus suggest to youngsters a technology break in the Orange smart shop network, where we have created a unique universe for them, one which helps them test their digital skills in a fun way and win prizes at the same time”, says Laura Piscan, Head of Direct Retail at Orange Romania. “How could a store network that connects people and technology and continuously adapts to what is important to them make its presence felt best? This time, when it came to the Orange smart shop, we chose not to think big, but cosmically. We imagined that nothing can be bolder technically speaking than conquering the Universe. So we came up with the idea: let’s colonize planet Mars digitally, before being able to do so in reality. Because only in the digital world can you conquer a panet and then, as a gamer would put it, click save. Truth is the possibilities opened by a simple smartphone processor (that has proven to be equally strong or even stronger than a spaceship computer) are infinite. So we created an asychronous, immersive and interactive experience that inspires and opens new perspectives to anyone who visits an Orange smart shop. COLONIZATION really must excite everyone and give them the confidence in technology to make them say ’Give me a smartphone and I’ll conquer the Universe’”, says Elena Negrescu, Senior Copywriter Profero. “The games were created in Unity5, a gaming ’engine’ used more and more by video game giants and whose graphics are very close to a triple-A game. We thought long and hard about the game design and how we would optimize the games to function perfectly on any device without having to make enormous compromises in terms of graphics and gameplay. As a result, we decided to create each game differently in order to satisfy each ’gamer’, be he a frequent or occasional one, with a fluid Game Design that manages to offer a challenge to anyone, with a learning curve that is rather intuitive. 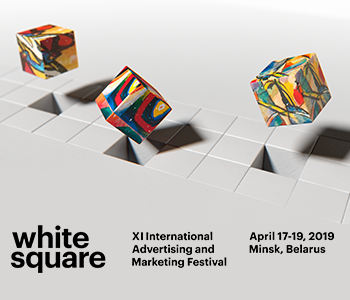 All you have to do is play and lose a few times, so you can get the idea and then become a true stellar explorer”, says Daniel Oprea, Senior Art Director Profero. The campaign is carried out until 12 August in Orange smart shops and Neversea, Untold and Summer Well festivals and users who create a My Orange account can win a trip to NASA, along with other major prizes. The Orange team involved in the campaign includes: Mirela Bosoi – Head of Brand and Communication, Laura Piscan – Head of Direct Retail, Camelia Ianculescu – Head of Retail Communication, Cristina Ilisei – Retail Communication Specialist, Oana Voinescu – Sales Information & Content Manager, Alexandrina Copaceanu – Trade Marketing Manager, Andrei Nicoara – Digital Transformation Manager, Andrei Ionescu – IT Project Manager, Anca Stancov – Head of Media, Ana Maria Filipescu – PR Specialist. From the Profero team, the following were involved: Elena Negrescu, Andreea Gavrilă, Ioana Cozma; Art: Daniel Oprea, Dan Hariga, Iulia Dămăroiu; CS: Mădălina State, Evelina Lunga, Ovidiu Popa; PM: Larisa Tagarta; Technology: Sabin Dima; Creative: Damian Nuñez. The media component was ensured by Initiative: Andreea Chiorean – Senior Digital Planner, Elena Mihalcea – Digital Media Planner, Andreea Corboş – Account Manager, Alina Gruianu – Account Director & Head of Unit.